Learn how you can use the recruiting services and tools offered through Career Services at WSU to find job candidates and interns. We are pleased to offer you an individualized employer user account in Handshake Winona State's free online recruiting system for students and alumni. Review the Employer Set-up Support to get started with your account. If you are a new recruiter taking over for a previous employee, please update your company profile information. We would appreciate it if you would provide us with current information about your company, including your website address. We look forward to working with you! If you are seeking volunteers, please contact the WSU Director of Student and Community Engagement at 507.457.2949. Volunteer positions are not posted in Handshake, unless they are year-of-service positions such as AmeriCorps or Peace Corps). WSU posts all part-time positions, internships and full-time jobs in Handshake. Positions posted in Handshake must be connected to a registered business. Career Services will not post positions such as babysitting and yardwork from individual families or community members. Internships for credit are housed in the WSU academic departments. Some of the for-credit internships are a requirement of an academic program, while others are an elective option within the academic major. Students also have the option to seek out a non-credit internship. The means that the experience will not be connected with their academic studies. If you are interested in sharing internship opportunities with your organization, please post your internship position in Handshake. Winona State University strongly encourages students to pursue paid internship positions and internships for-credit. If you would like to have your internship opportunity targeted to particular majors and academic departments, Career Services can help. After you have posted your position in Handshake, please send an email titled Targeted Internship to career@winona.edu and list in the body of the email those academic departments you would like to target. Please consider promoting your internship opportunities at the WSU Career Expo or WSU Summer Opportunities Fair. Learn more about registering for a fair. Fairs are a great way to build your brand on the WSU Winona campus. These annual events will provide a one stop to collect resumes, interview and recruit qualified candidates. All on-campus fairs require employer registration in Handshake. These Registration pages are located under the Career Events tab on the top navigation bar in the Handshake portal. Email Career Services for more information. See the scheduled fairs and register your business to attend. WSU candidates are primarily seeking full-time entry-level positions or internships. Please carefully read WSU Employer Eligibility & Recruiting Policy before proceeding to step two. Review WSU’s on-campus recruiting calendar (PDF) before selecting your preferred dates. Please schedule interview days through Handshake or call our Career Services Coordinator at 507.457.5878 to schedule your visit. A typical interview day consists of twelve 30-minute interview times. However, online schedules can be customized to meet your needs. You will receive a notification when your interview schedule has been created in Handshake. Employers have the option of pre-screening resumes and selecting the candidates they wish to interview or using an open schedule. Employer are welcome to maximize their visit by scheduling multiple visit options. However, our policy allows employers to schedule one one-hour Meet & Greet and one 4-hour table reservation per academic semester. Employers may schedule two on-campus interview schedules per academic year. Plan your drive to Winona and arrive on campus. The Warrior Success Center welcomes partnerships with employers and community leaders in the Winona and Rochester communities to enhance the career development of WSU students. If interested in participating in these programs, contact career@winona.edu and list Partnership Program in the title of the email. We welcome representatives from private industry, non-profit organizations and government agencies-- from Fortune 500 companies to local and regional employers. Networking opportunities are held throughout the academic year. 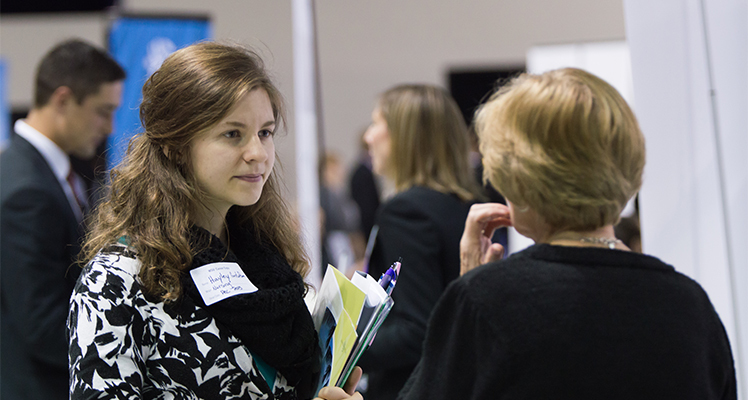 Career Services welcomes involvement of community leaders, employers and alumni to provide opportunities for current students to learn the value of networking, provide opportunities for networking and learn networking best practices. WSU Career Services hosts mock interview events to help students prepare for job interviews. Founded in 1858, Winona State University is a comprehensive public university with close to 8,000 students. Employers requesting to recruit on the WSU Campuses (Winona and Rochester) shall first obtain approval into the On-campus Recruiting Program through Career Services. Career Services will not vouch for the legitimacy of any recruiter on campus that has not been approved into the program. Campus departments approached by employers must determine whether to refer recruiters to Career Services or assume primary responsibility for the legitimacy of the recruiter. Eligible employers who participate in Winona State University’s on-campus recruiting program must abide by the Principles of Professional Conduct for Career Services and Employment Professionals as published by the National Association of College and Employers (NACE). These principles provide a framework for professional relationships among colleges/universities, employing organizations, and candidates. Additionally, all organizations must also conform to the U.S. Equal Employment Opportunity Commission policies regarding Nondiscrimination in Employment and Education Opportunity and all applicable Equal Opportunity Laws. Each employer may schedule one Meet & Greet (one hour) session and reserve one table in the student union per academic semester. Each employer may conduct up to two on-campus interview schedules per academic year. Organizations eligible to attend WSU career and job fairs must be recruiting for current or future positions where a degree is sought or supports the pursuit of a degree. Employers who participate in on-campus job fairs and intend on hiring students currently taking classes at WSU will make an effort to accommodate student class schedules. All employer registrations are final and no refunds are given. In the situation when WSU is forced to cancel an event, Career Services may offer a refund. Employers who create a Handshake account and link with Winona State University (WSU) must agree to the Handshake Employer User Agreement, which aligns with the guidelines and practices of the WSU on-campus recruiting program, before receiving access to the Handshake system. Eligible third-party recruiters who wish to participate in WSU’s on-campus recruiting program must abide by the Principles of Professional Practice – Third Party Recruiters as published by the National Association of Colleges and Employers (NACE). Third-party recruiters must also conform to the U.S Equal Employment Opportunity Commission policies regarding Nondiscrimination in Employment and Education Opportunity and all applicable Equal Opportunity Laws. To protect the employment rights of WSU students and alumni, ensuring equal access to employment opportunities; ensure confidentiality of student information; ensure best hiring practices are being applied during the recruiting process; and establish clear expectations and guidelines in order to develop professional relationships with employers. On-campus Recruiting Program – formal program allowing employers access at Winona State University to recruit students for internships, advanced degree programs, and part-time and full-time employment through a series of channels including: career & job fairs, on-campus interviews, events (tabling and Meet & Greet sessions), and Handshake user accounts. WSU career and job fairs - fairs where WSU is the primary host, most often held on one of the WSU campuses (Rochester or Winona). Example: WSU Warrior Jobs Expo. Third-party recruiters - Agencies, organizations, or individuals recruiting candidates for temporary, part-time, or full-time employment opportunities other than for their own needs. This includes entities that refer or recruit for profit or not for profit, and it includes agencies that collect student information to be disclosed to employers for purposes of recruitment and employment (i.e. employment agencies, search firms, and contract recruiters). Search Firms - Organizations that contract with clients to find and screen qualified persons to fill specific positions. The fees for this service are paid by the clients. Contract Recruiter - Organizations that contract with an employer to act as the employer's agent in the recruiting and employment function. The Associate Director for Career Services or their designee assumes the leadership role for the WSU On-campus Recruiting Program and recruiting policies. U.S Equal Employment Opportunity Commission policies regarding Nondiscrimination in Employment and Education Opportunity. By selecting “Yes”, I acknowledge that I have read and hereby agree to follow Winona State University’s Employer Eligibility and Recruiting Policy and agree to follow the Principles of Professional Conduct for Career Services and Employment Professionals as published by the National Association of College and Employers (NACE). I also confirm that my hiring practices adhere to the U.S Equal Employment Opportunity Commission policies regarding Nondiscrimination in Employment and Education Opportunity and all applicable Equal Opportunity Laws. These documents are located on the WSU Career Services website. I understand that Winona State University reserves the right to refuse my access to the Warrior Jobs system due to any of the following; failing to adhere to these policies and principals; violating any local, state or federal laws; or any other behavior or conduct which, in the discretion of the WSU Career Services, warrants denial of service or access. Q: Can I just send you my Job Vacancy description for WSU students to see? A: For the most effective distribution of your listing, you should register online with Handshake to post your position. Announcements received in our office via email, mail or fax will be added to the online system. Q: I can't schedule a time to visit WSU, but am interested in hiring WSU students and recent alumni. What are my options? A: Career Services can still help! WSU students and/or recent graduates who meet or exceed your qualifications may have a resume online in Handshake. With the implementation of our online job posting and resume system you will be able to do a query and print off resumes of candidates you may be interested in. Q: I would like to present in a classroom. What steps do I need to take to present? A: Employer presentations in the classroom are at the discretion of the professor teaching the course. With only a limited number of classroom hours each semester, faculty who do invite employers into the classroom are often requesting that the employer contribute to the lessons of the day. Often employers bring in current company scenarios for students to apply what they are learning in the class. Otherwise, an employer may teach on a new technique or method used in the company. Quick company promotions are not encouraged. All presentation inquires must be sent through Career Services. We ask that employers do not reach out to faculty directly. Have questions about WSU Career Services or need assistance? Please call 507.457.5878 or email career@winona.edu.